Meet Newsday's All-Long Island softball team for the 2017 spring season. 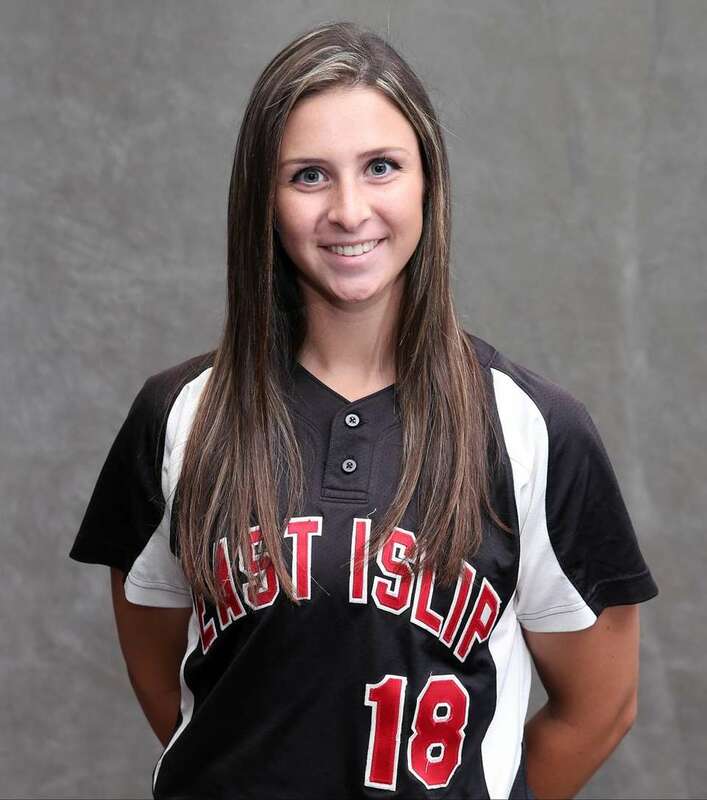 Long Island Player of the Year: Courtney Greene, East Islip, P, Sr. 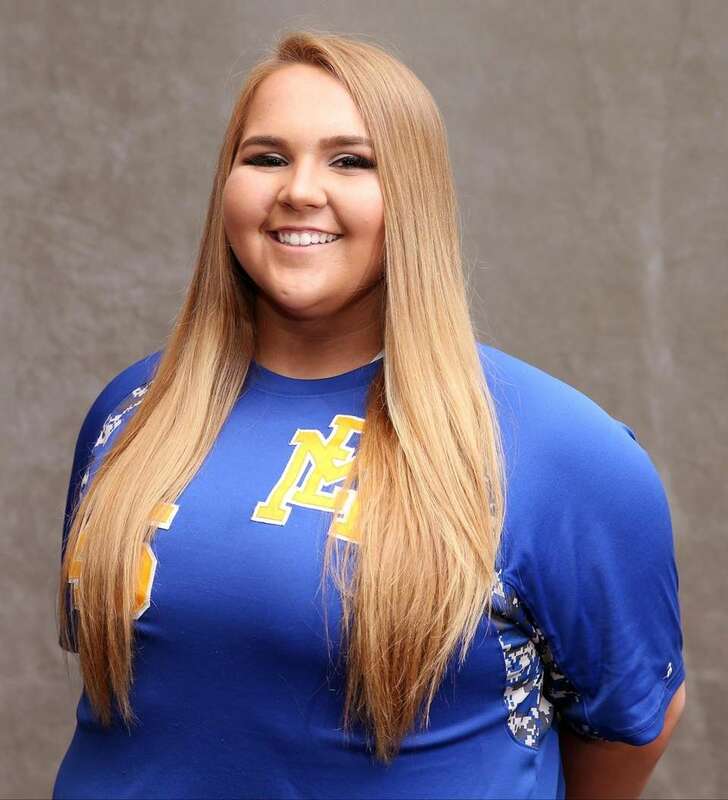 It was East Islip's second straight season playing for the Suffolk Class AA softball championship and Courtney Greene was not going to let this one slip away. 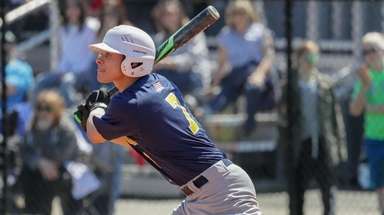 A year prior, East Islip went on a Cinderella run as the No. 7 seed to the county final. This season was different. The Redmen had lost only one game all season, earned the top seed and reached the finals out of the winner's bracket. Trailing by one run after an error-plagued inning in the final, Greene launched a three-run home run to give her team the lead, which she never relinquished in the circle as East Islip won its first county title since 2012. 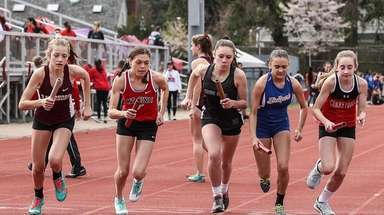 "You could just tell from the beginning that was one of our goals, one of her goals," coach Jason McGowan said. "And she would do anything possible to get us there." The senior posted a 20-2 record with a 0.78 ERA and 220 strikeouts in 144 innings. She hit .519 with 40 hits and 37 RBIs, including eight home runs, and will play at Molloy next season. 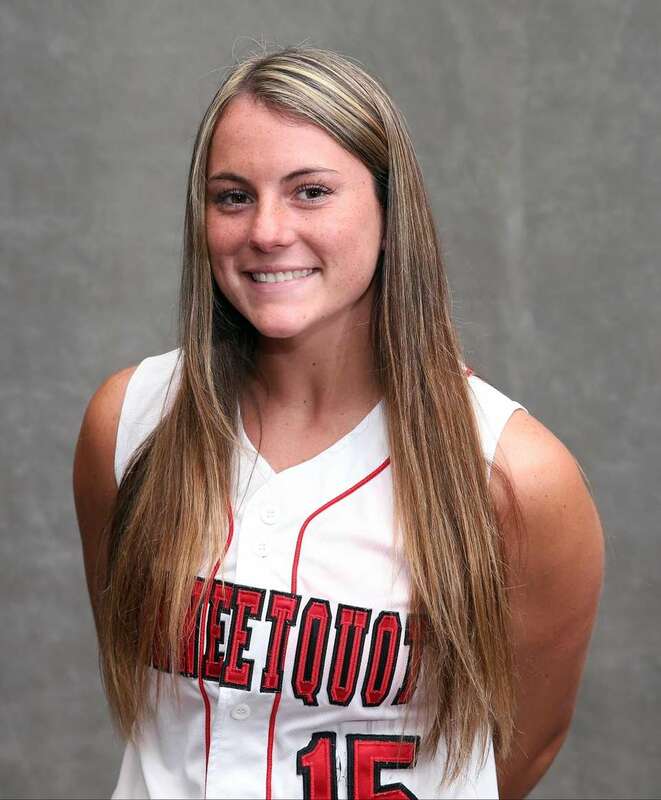 Nassau Player of the Year: Jess Budrewicz, MacArthur, P, Jr.
Jess Budrewicz was dominant all year for the MacArthur softball team, but she took her performance to new heights in the postseason. "The whole playoffs, she throws 54 innings and 52 of them are scoreless," coach Bobby Fehrenbach said. "That's pretty remarkable." 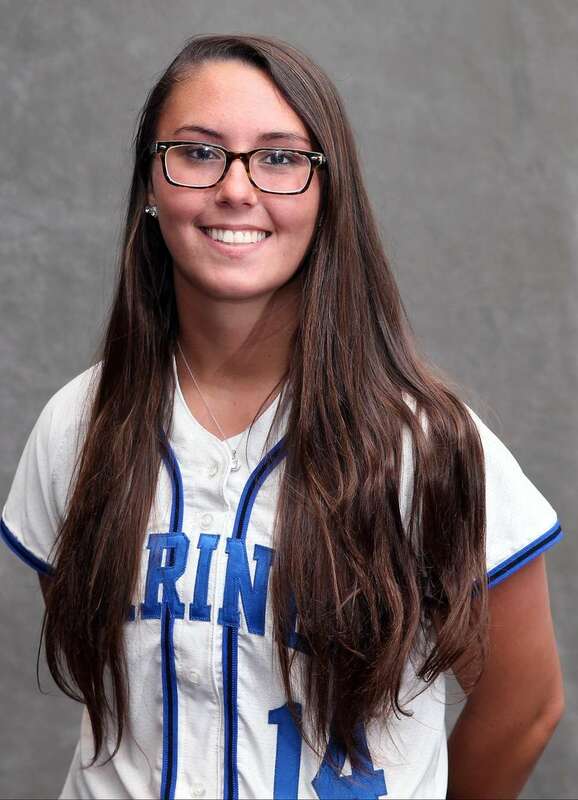 The junior led MacArthur to South Glens Falls for the second straight season to play in the state semifinals, posting a 1.01 ERA and 265 strikeouts to only 23 walks in 171 ⅔ innings to be named Newsday's Nassau County Player of the Year. 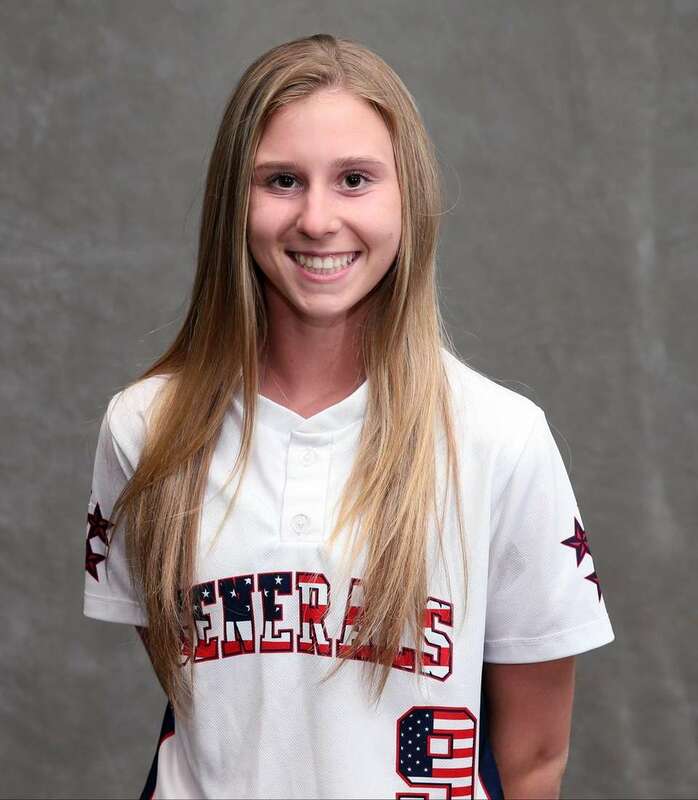 The Generals' season ended with a 2-0 loss in the semifinals, but with Budrewicz in the circle, Fehrenbach always felt confident. 'Just the calming influence that Jess has," Fehrenbach said. "Jess is very relaxed out there, she's just confident in what she's doing." 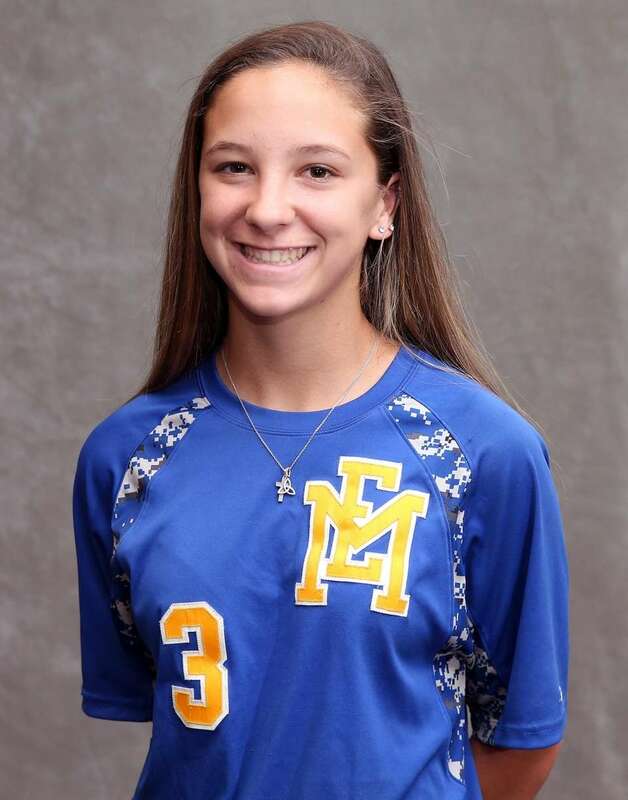 Gianna Azzato, East Meadow, 2B, Sr.
Azzato had a knack for the big moment like few others on Long Island. 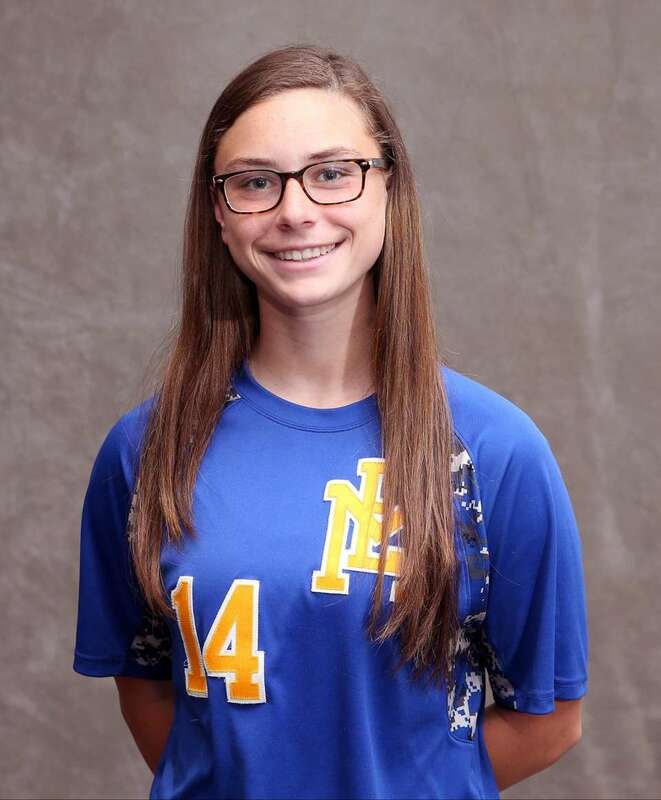 She followed up on her go-ahead three-run home run in the seventh inning of the Long Island championship game by delivering an RBI single for the lone run in a 1-0 East Meadow victory over Binghamton in the state championship. The senior hit .405 with six home runs and 42 RBIs. 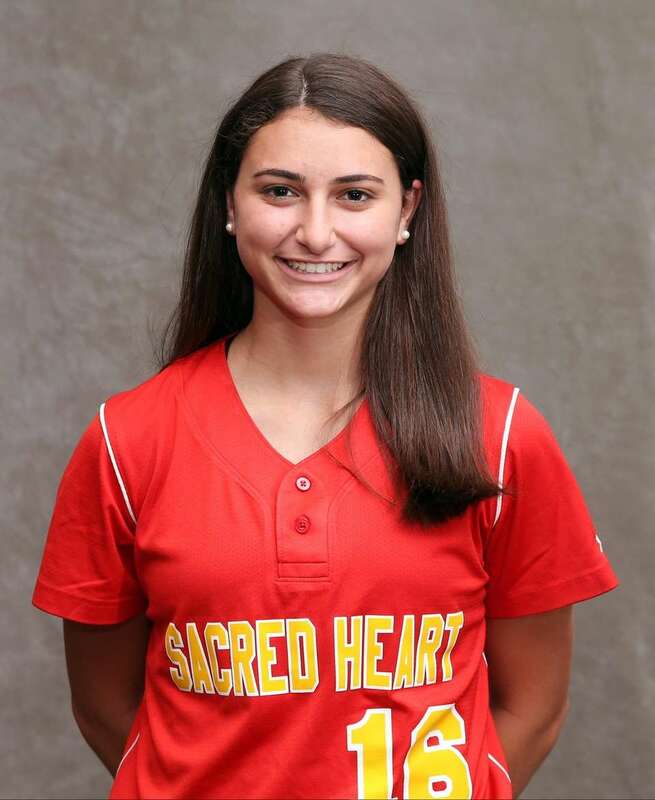 Janae Barracato, Sacred Heart, 3B, Sr.
A five-tool player, she hit .492 with three home runs and 27 RBIs, only striking out five times striking fear in the middle of the Sacred Heart lineup. 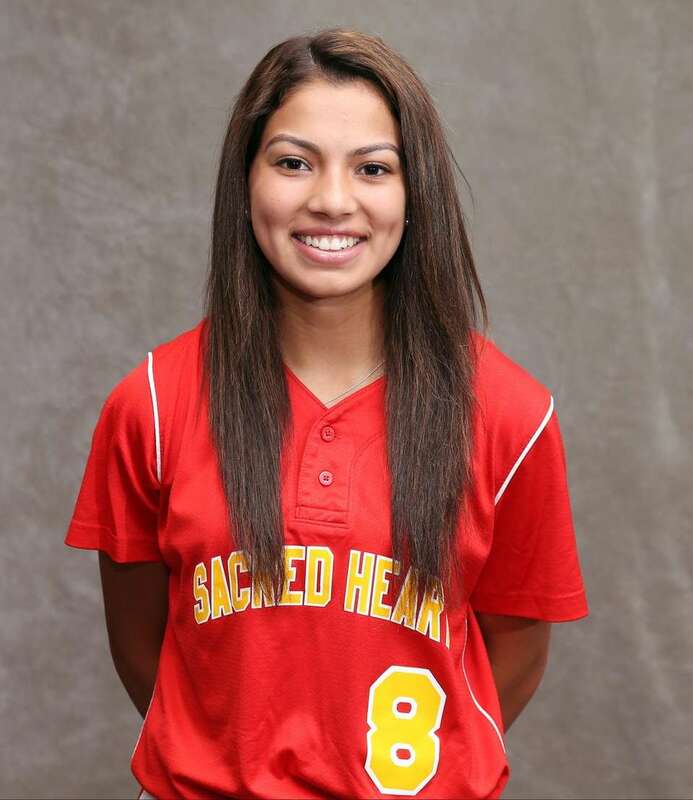 Committed to Seton Hall, she also scored 25 runs with 22 stolen bases. Marissa Braito, Sacred Heart, SS, Jr. The Binghamton commit batted .661 with 41 hits. 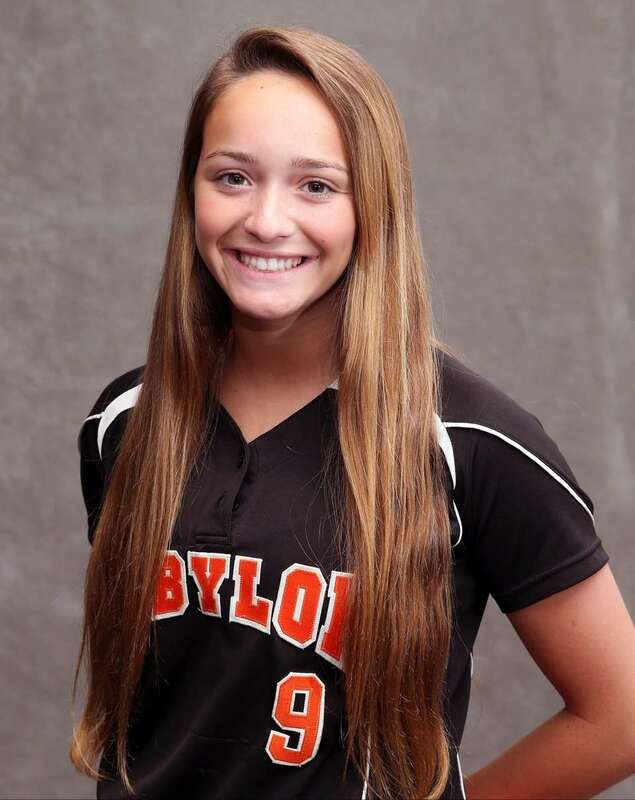 One of the fastest players on Long Island, she scored 34 runs, stole 26 bases and only struck out four times this season. 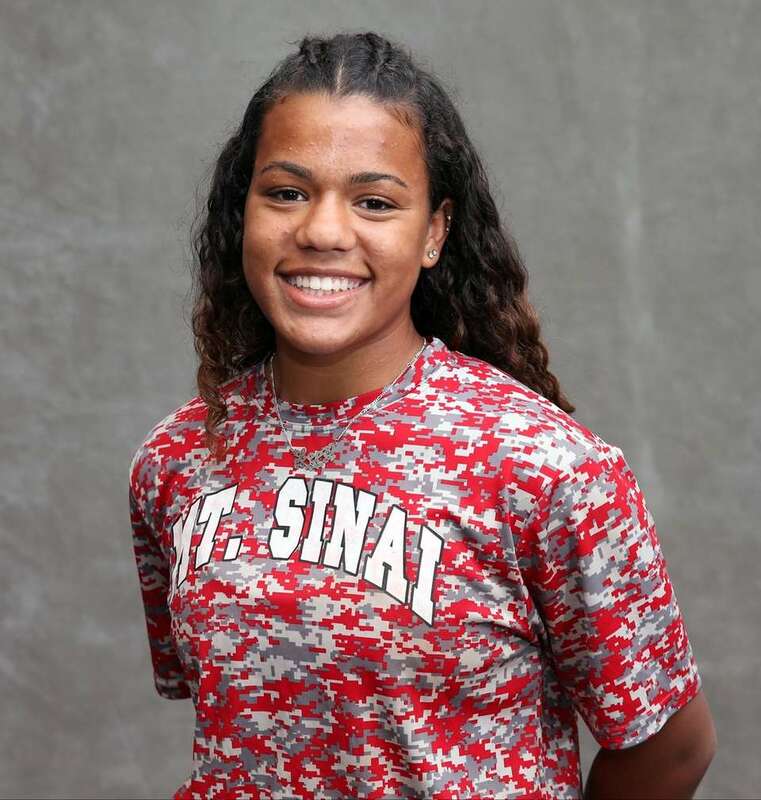 Love’ Drumgole, Mount Sinai, SS, Jr.
She hit .673 with 39 RBIs, 35 runs and 29 steals for a Mount Sinai team that didn't lose a game until the Class A Long Island championship. Jenna Laird, East Meadow, SS, Fr. She sparked the Jets' offense throughout the year, recording 53 hits and batting .602. 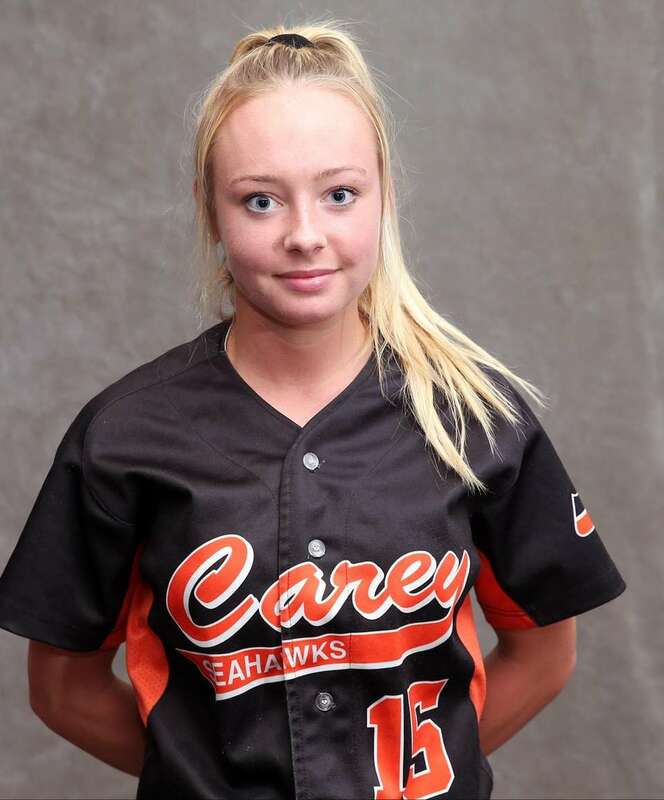 She scored 44 runs, added 33 RBIs and only struck out three times all season with a strong glove at shortstop. Tonianne Larson, Long Beach, P, Sr.
Larson led the Marines to the Nassau Class AA championship series in the circle and at the plate. She recorded 233 strikeouts in 141 innings and had a 1.04 ERA and batted .437 with 21 runs and 18 RBIs. She'll play at Molloy next year. 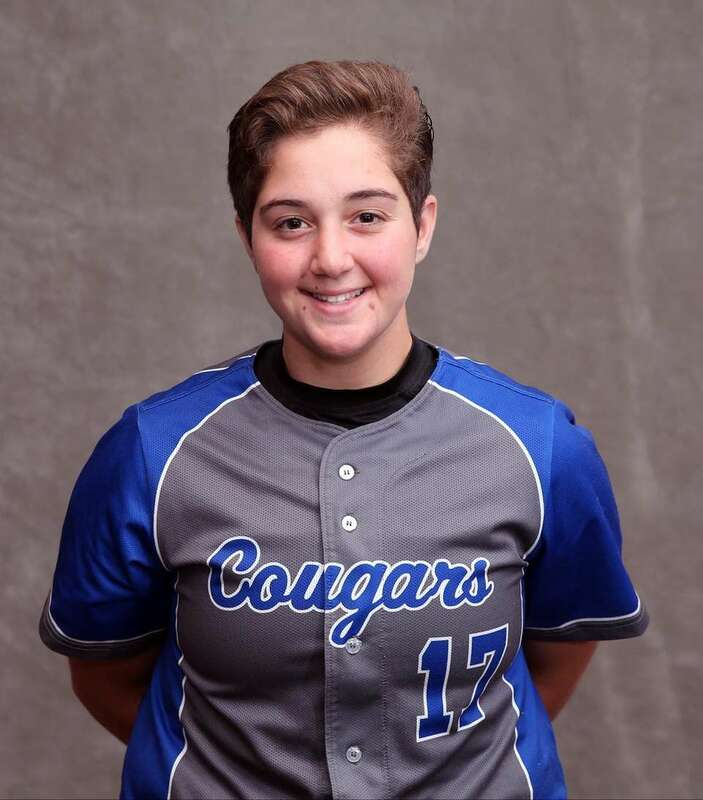 Christina Loeffler, East Meadow, P, Jr.
A powerful presence both in the circle and the batter's box, Loeffler hit .413 with an on-base percentage of .515 and slugging percentage of .907. She hit nine home runs with 36 RBIs. She pitched to an 13-1 record with a 1.49 ERA for the Class AA state champions, including a 1-0 complete game in the state final. Sarah McKeveny, Connetquot, P, Sr.
Connetquot's all-time leader in strikeouts (697) capped her senior season with 238 strikeouts in 146 innings and a 1.41 ERA -- including eight shutouts and a no-hitter -- to lead the T-Birds to an 18-4 record. At the plate, she batted .433 with four home runs and 22 RBIs. She will attend Bryant University in the fall. 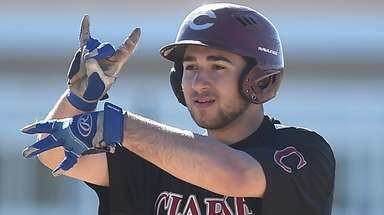 Lindsay Ness, Centereach, C, Sr.
Ness was a player opponents feared both at and behind the plate. She hit .578 with five home runs and 41 RBIs, with more than half of her hits going for extra bases. She never struck out all season. Opponents rarely attempted the extra base on her and the six-year varsity player hit .705 with runners in scoring position this season. She will play at Hofstra next year. Brianna Pinto, Carey, SS, Sr. The Fordham commit batted .510 and used her speed to create havoc on the bases, totaling 23 stolen bases and 32 runs scored. Gabi Scharff, Island Trees, 3B, Jr.
She hit .558 with four home runs, 40 RBIs and 25 runs scored. Half of her hits (24 of 48) resulted in extra bases. She had the walk-off RBI single to send Island Trees to the Nassau Class A county final. 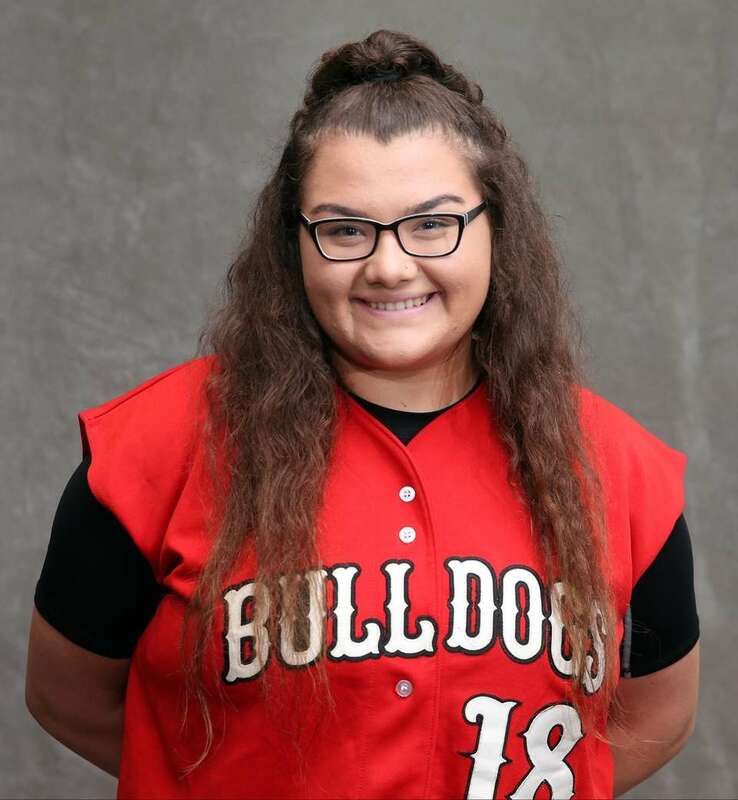 Allie Stanya, Babylon, P, Jr.
Stanya tossed three no-hitters and a perfect game to lead the Panthers to a 24-1 record with a 0.70 ERA, only allowing 11 earned runs in 110 innings. She recorded 183 strikeouts and hit .559 for the Class B Long Island champions. She added 49 runs, 35 RBIs. 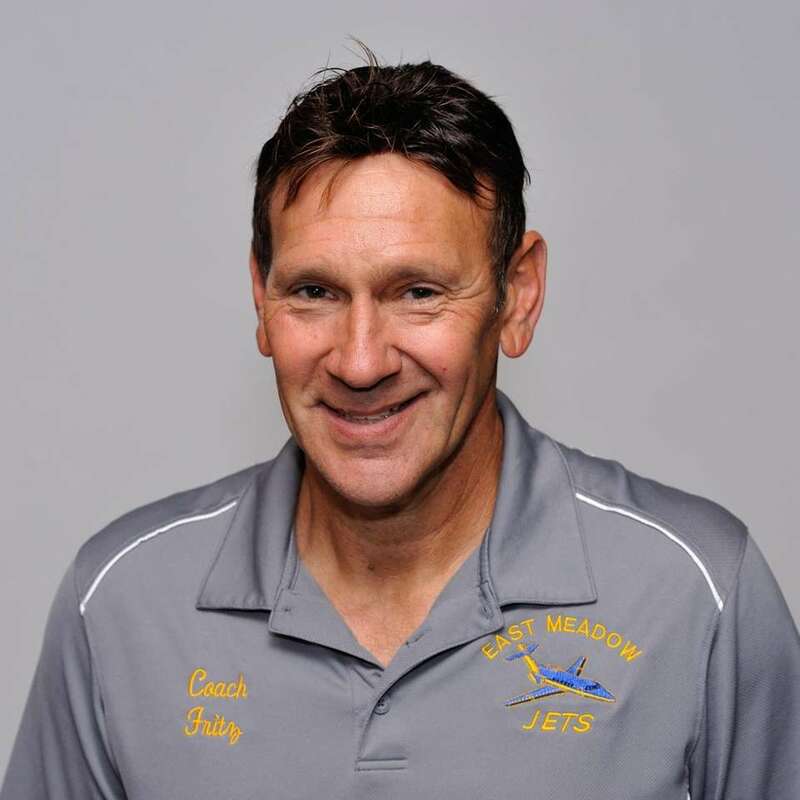 Fritz guided the Jets to a 22-2 record and a Class AA state championship for the second time in the last four seasons. Punzone guided Babylon to an undefeated record on Long Island and to its first Class B state semifinal appearance since 2003, despite only one senior on the roster. 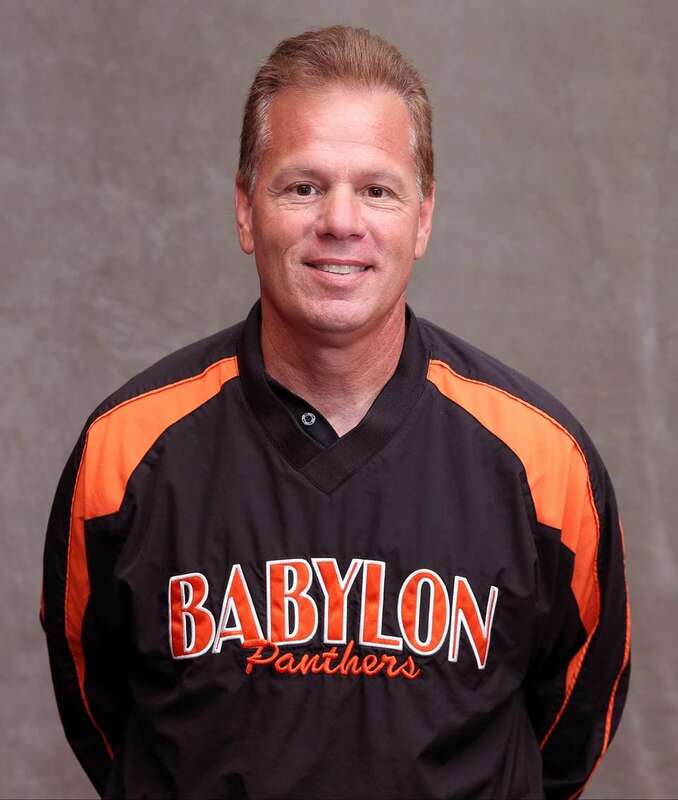 Babylon finished 24-1 after 1-0 loss in the state semifinal. Alex Burns, Baldwin, CF, Jr.
Jackie Carty, East Islip, SS, Sr.
Kirstin Cox, Clarke, SS/Util, Sr.
Sophie Dandola, Seaford, P/1B, Sr.
Gwen Donaldson, Babylon, SS, Sr.
Tori Fox, Deer Park, C, Sr.
Ann Grimshaw, New Hyde Park, C, Sr.
Sam MacPherson, Sachem North, CF, Jr.
Shannon Myles, MacArthur, 3B, Sr.
Claire O'Brien, Sacred Heart, P, Sr.
Lauren Ramos, Westhampton, C, Jr.
Jayna Rios, Floyd, SS, Jr.
Sabrina Seeger, Oceanside, P/1B, Sr.
Alyssa Seidler, St. Anthony's, P, Fr. 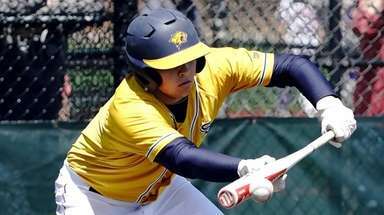 Lyndsey Shaw, Sayville, C, Jr.
Jenn Swing, Syosset, 3B, Jr.
Jillian Weinstein, Half Hollow Hills West, P/1B, Jr.
Emily Whitman, Comsewogue, SS, Jr.
All-Long Island baseball team 2017Meet Newsday's All-Long Island baseball team for the 2017 spring season. ... Newsday's All-Long Island softball team 2017Owen O'Brien introduces the Newsday All-Long Island softball team for 2017. 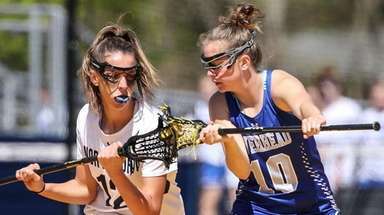 Newsday's All-Long Island history databaseMore than 6,000 players and coaches have earned Newsday's top high school honors.